Daily Debate: Should the Megaton Hammer Return in Another Zelda Game? The Megaton Hammer is one of my favorite items from Ocarina of Time. The Megaton Hammer is the main item retrieved from the Fire Temple and was historically used by the Gorons in a previous bout with Volvagia. It’s a simple but effective weapon that’s effective against both Volvagia and Shadow Link, and it’s also responsible for why I think the final battle with Ganon is very impressive. Having lost the Master Sword, Link has to rely on his other weapons, and the Megaton Hammer is often recommended as the preferred weapon of choice against Ganon during this phase of the fight (unless the player has Biggoron’s Sword). It was such a memorable moment, but despite its effectiveness and utility, the Megaton Hammer has yet to appear in another Zelda game. Ocarina of Time already proved how useful the Megaton Hammer could be both in and out of combat. Not only is it a decently fast weapon to use, it can also be used to access Secret Grottoes and smash blocks encountered in puzzles. Because of that, I think it would be a great weapon to bring back into the main Zelda games. Other installments like The Wind Waker include a variation of the Megaton Hammer, but the size and slow movements associated with the Skull Hammer don’t quite compare to how practical its predecessor is. What do you think? 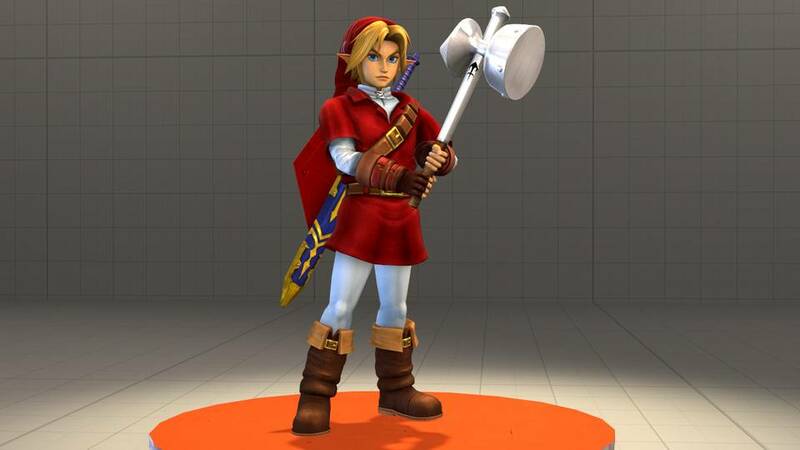 Would you like to see the return of the Megaton Hammer in another Zelda game? Let us know in the comments!